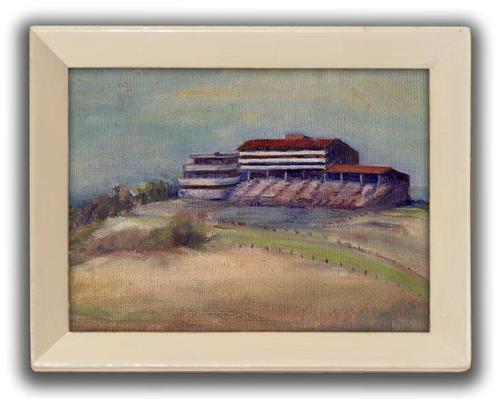 This is an original oil painting of the Epsom Racecourse Grandstand by Gwladys Burton dated 1953. Things have changed a little since then as you can see from the photograph of the racecourse today. Individual works by Gwladys have sold for well over £300.